Small-truck-like carrying capacity, strong diesel engines, large range of chassis cab models. Small dealer network, poor refinement, vague handling on models with electric power steering. 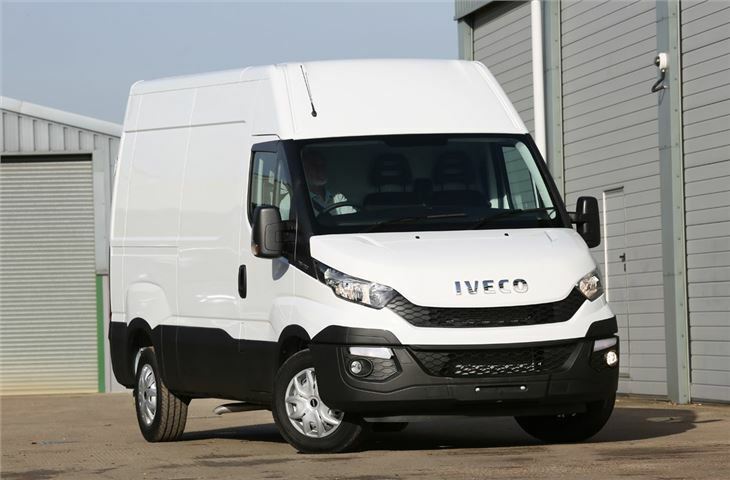 One of the true heavy hitters in the large van class, the Iveco Daily is the van that bridges the gap between big vans and small-trucks. It might not match its rivals for refinement or comfort, but the Daily has one of the best line-ups in the large van segment with weights spanning from 3.5 to 7.2 tonnes. 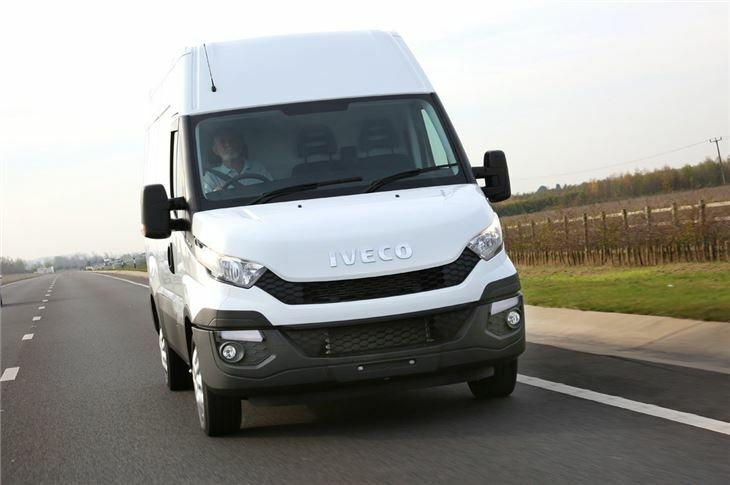 Like Iveco's trucks, the Daily is built on a ladder-frame chassis, which means it is hugely customisable, with 8000 different factory versions available, spanning everything from standard panel vans and tippers to minibuses and flatbeds. 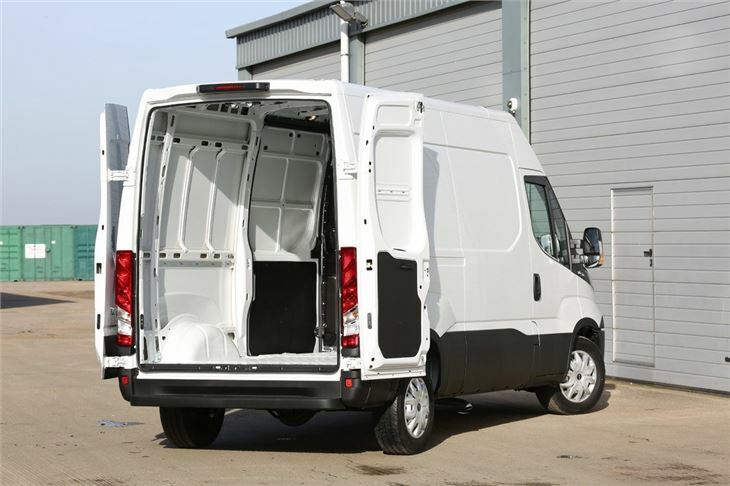 There is also a broad range of chassis cab variants, while the Daily panel van has one of the largest load volumes in its class at 19.6 cubic meters. The Daily doesn't just cater for titanic loads; small businesses can opt for the entry-level 3.5-tonne model, with a more modest 7.3 cubic meters of load volume. The Daily is available in three load heights and five lengths; all models are practical and will easily take a standard Euro pallet through either the rear or side doors. Power comes from two Fiat-sourced diesel engines - 2.3-litre and 3.0-litre - which are shared with the front-wheel drive Ducato. Outputs vary from 106PS to 205PS, with the latter offering a huge 470Nm of torque. Unlike the Ducato, all Daily models are rear-wheel drive only, with power fed through a six-speed manual or an optional eight-speed automatic gearbox. On the road the Daily delivers strong performance, but both the 2.3 and 3.0 diesel engines are vocal at motorway speeds. However, while industrious, the turbodiesels deliver good performance and lots of low-gear torque. The Daily is also agile at low speeds, with an impressive 10.5 metre turning circle. From 2019, the Daily comes fitted with electric power steering that makes the van effortless to guide at low speeds, with a light and smooth operation that makes it easy to steer the van into a tight parking space or load bay. However, while optimised for urban speeds, the electric steering robs the van of meaningful handling at higher speeds. Some drivers will find the vague and lifeless steering to be more than a little unnerving at motorway speeds. While the diesel engines excel with excellent torque and performance, they do lag behind the competition on economy, with only single-wheel variants of the 2.3-litre engine returning a claimed 40mpg, while the rest of the range sits in the mid to low-30s. 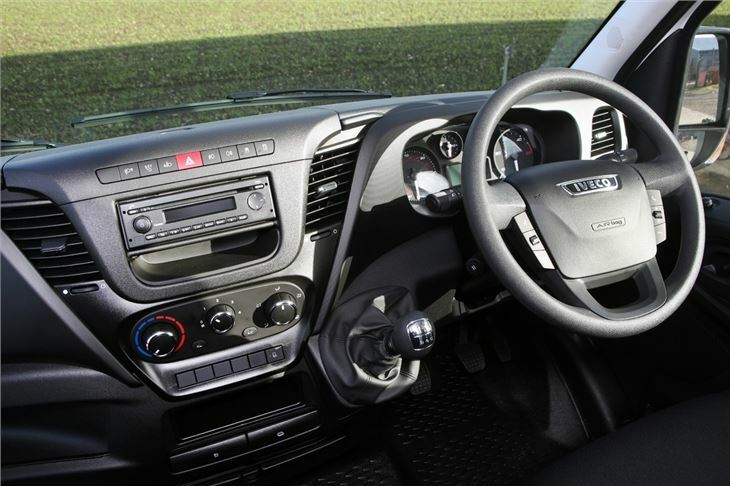 The interior of the Daily also fails to match the intelligent and car-focused designs of other vans in this class, with an abundance of drab and cheap plastics. 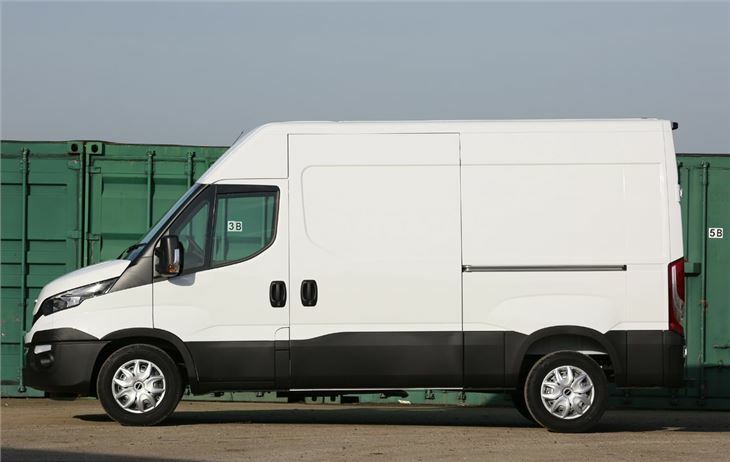 The Daily does deliver gargantuan carrying capability and it is here it'll win favour with small businesses, with its maximum gross vehicle weight (up to 7.2 tonnes) well ahead of the 5.5 tonnes you get with the Mercedes-Benz Sprinter and Volkswagen Crafter. 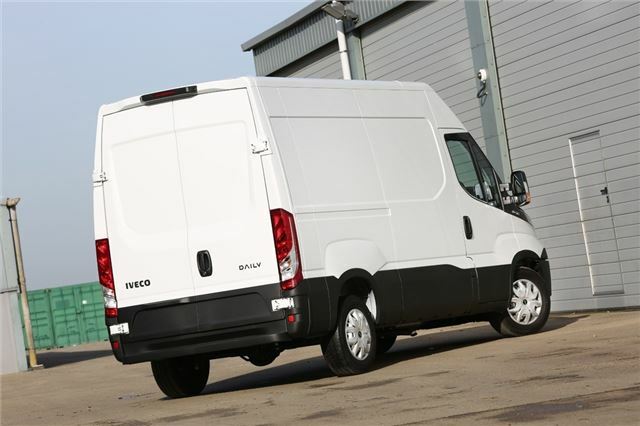 However, despite its workman-like qualities, the Daily falls short on refinement and comfort, which means it is still second best to the likes of the Ford Transit and Mercedes-Benz Sprinter when it comes to the 3.5 tonne part of the market.